Goal: Operate a CT703 or CT704 WiFi Attenuator with a script. The LANforge GUI provides scripting support for the CT703 and CT704 Attenuators. This cookbook provides a basic example of how to script the signal strength up and down. Requires LANforge 5.2.11+ and CT703 or CT704 Attenuator. You will see the Modify Attenuator window. Click on the Script button. 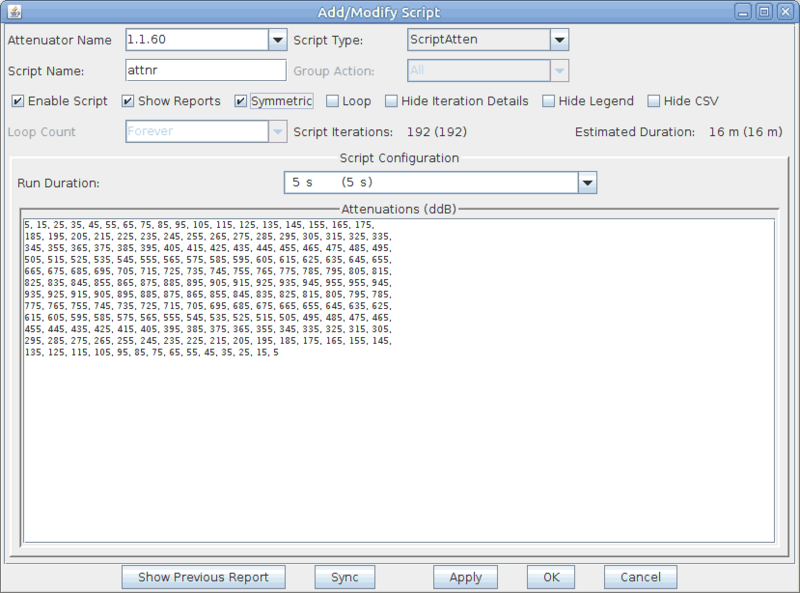 The Add/Modify Script window opens. In the picture below you see a huge list of numbers (the attenuation levels). These numbers are not pre-populated. You can copy and paste them out of this document or create a series with other commands listed below. Choose 5 s for Run Duration. This will run the Attenuator at each ddB value for this period of time. In the Attenuators tab, you will notice that your attenuator now reads Enabled in the Script column. 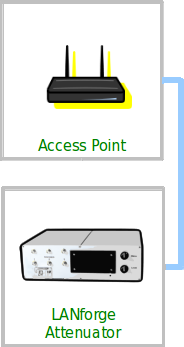 Select the attenuator and click the Start button. The window Script Report will appear. 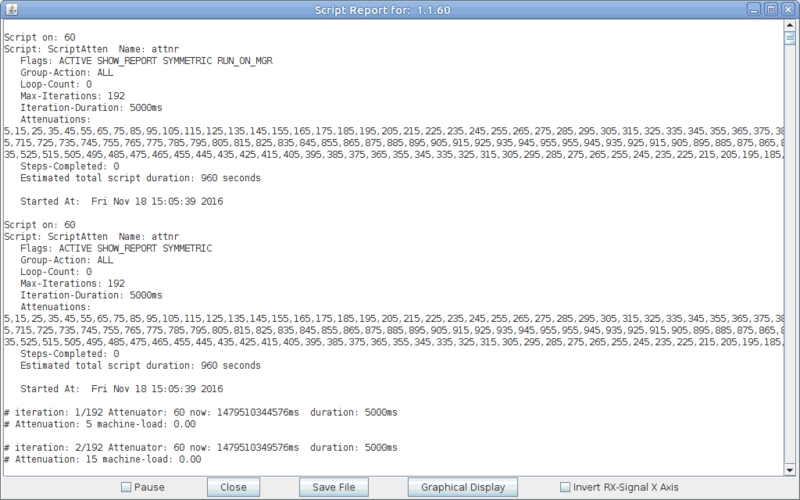 This monitors the script behavior of the attenuator script. Also notice the attenuation values change in the LANforge Manager as the script runs. Note: These values update every five seconds, so values may differ within the five second window.